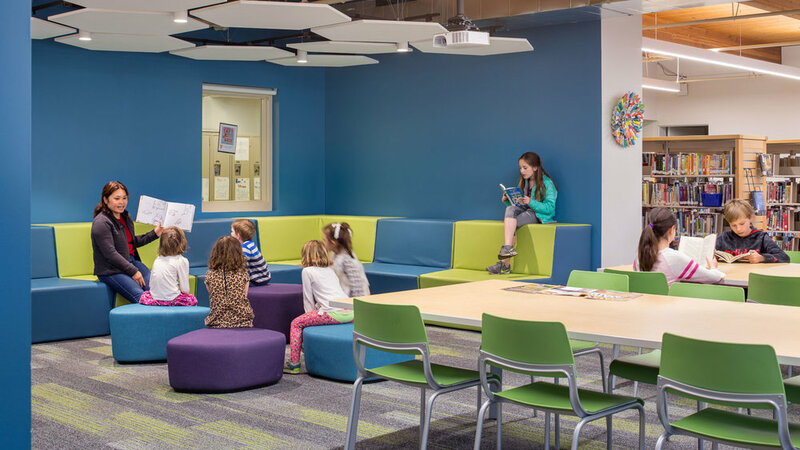 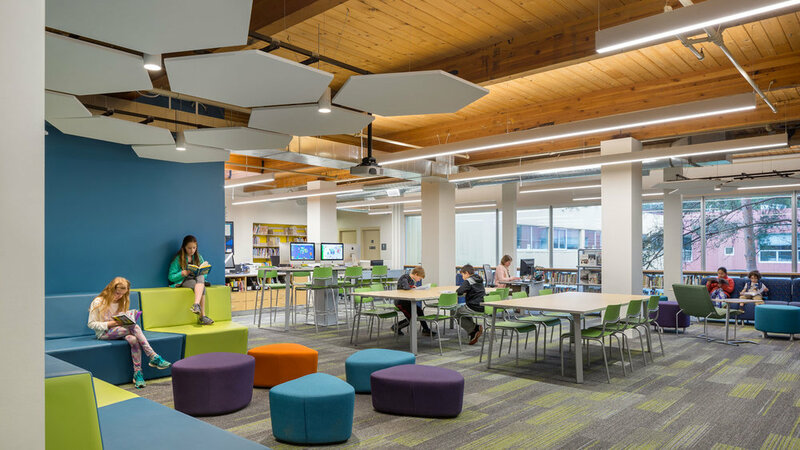 As Portland Jewish Academy’s dynamic nexus of scholarship and study, the Learning Commons’ design provides a flexible, vibrant, and inviting student-centered space that fosters collaboration, invites curiosity, and promotes inquiry. 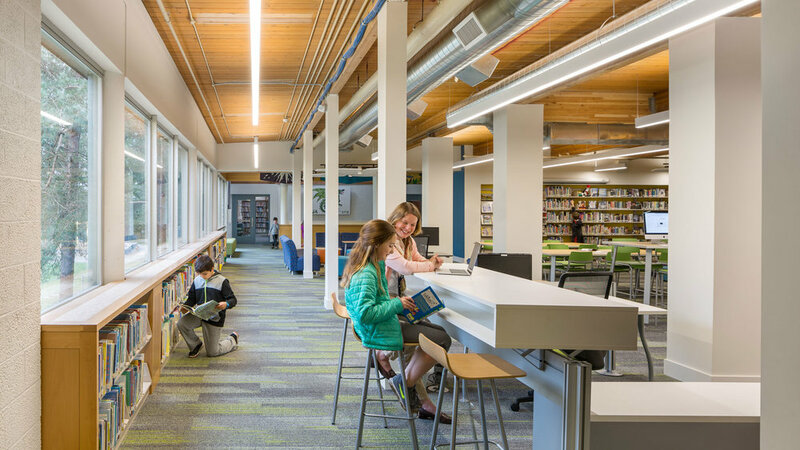 The new Learning Commons supports and illuminates Portland Jewish Academy’s curriculum and learning culture. 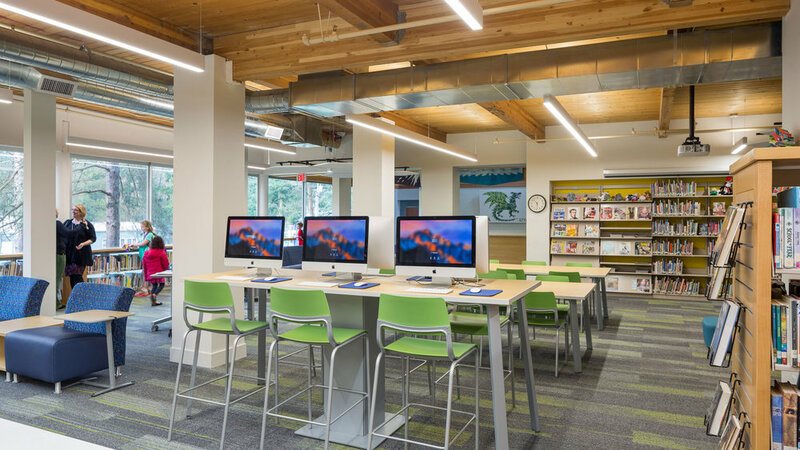 Through a collaborative effort between Carleton Hart and FFA, the school’s library was converted into an open, multi-purpose space for individual study and group work while maintaining library functions. 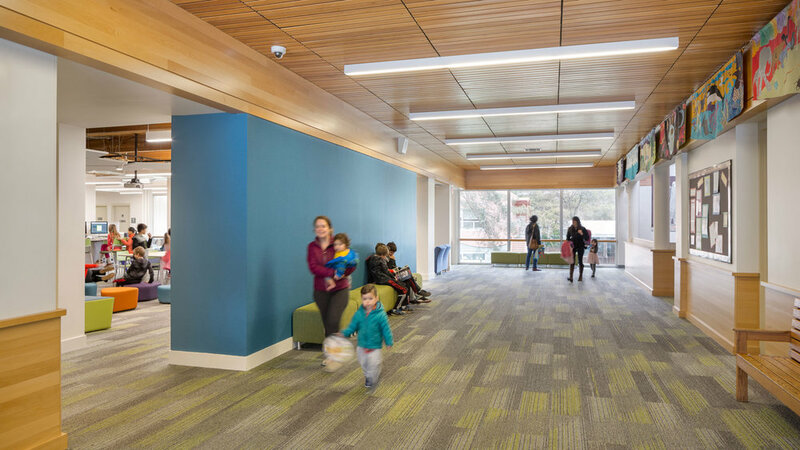 Spaces were designed for optimum flow and include a media and technology area, meeting spaces, faculty spaces, lobby, and gallery.